A critical factor in ensuring complete resection of a solid cancer tumor is the ability to determine where diseased tissue ends and healthy tissue begins. Our research, as well as our clinical collaborators, confirm that there is a pressing unmet clinical need: the ability to rapidly and globally assess the status of marginal tissue adjacent to a tumor while the patient is in the OR. 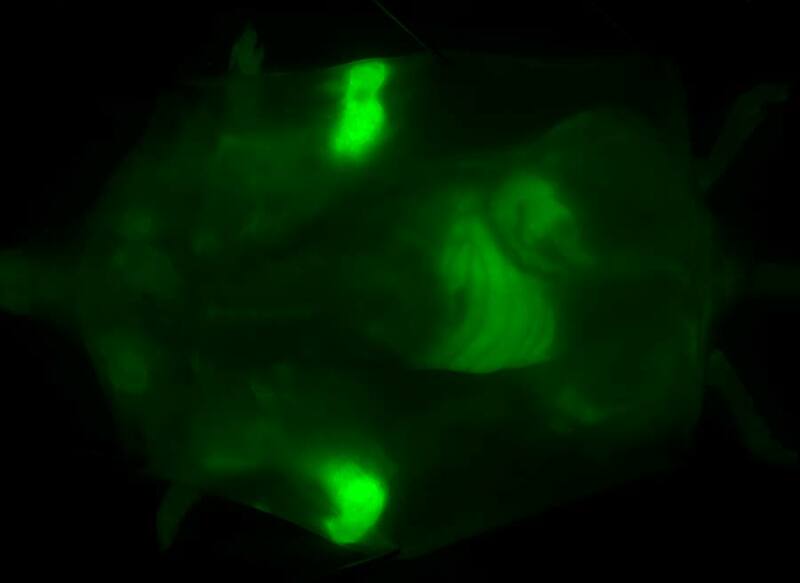 Fluorescent molecular probes which “light up” cancer tissue offer a potentially exciting solution to this problem. A number of companies are working in this area. In general, their probes target cancer-related proteins and require the systemic administration of pharmacologically-significant amounts of probe hours or days before a surgical procedure. 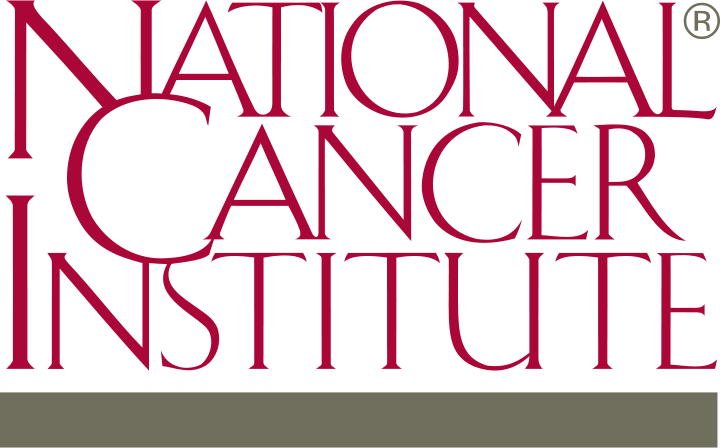 Cancer is a diverse disease, and optimal clinical approaches, as determined by the surgeon, mean that “one size fits all” solutions, are usually suboptimal. We worked directly with cancer surgeons and surgical oncologists to address this unmet need, developing a probe architecture with unmatched flexibility and performance that eliminated the shortcomings of other molecular probes—Akrotome FIRE™. Unmatched Flexibility—FIRE probes offer a number of administration methods to meet the needs of an individual procedure as determined by the surgeon: in-vivo topical; in-vivo systemic; and ex-vivo topical. The in-vivo topical method, where probe is applied directly into the surgical cavity, is especially attractive as it uses a very small amount of probe, penetrates tissue to a depth of several millimeters, and has the ability to identify non-vascularized cancer tissue. Because FIRE probes are designed expressly for surgeons, they are built to integrate seamlessly into the clinical workflow of the Operating Room. Blending outstanding performance and flexibility with affordability, the FIRE platform is a superior solution for cancer surgery applications where the determination of the status of marginal tissue is a critical prognostic indicator. 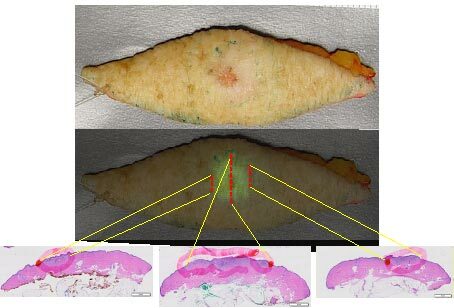 Solvent was applied to the other half of tumor tissue (blue circle). 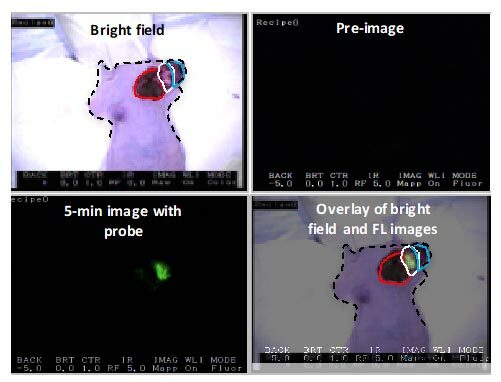 After 5 minutes both probe and solvent were removed, tissue was rinsed twice with saline and imaged using the Akrotome handheld camera. Upper right panel preimage indicates no background fluorescence. Lower left panel indicates robustness of signal achieved five minutes after topical application. Living animal under isofloran anesthesia was used for the imaging.